Real people offering real service to all our long time friends and welcoming new clients and customers to our beautiful location in Sutter Creek. Our team of professionals was formed from long time business and personal relationships in the real estate industry. We have come together as a strong force to work on behalf of buyers and sellers to help them achieve their goals. We will negotiate every step of the way through the often times stressful process of buying and selling real estate in today’s fast-paced market. You can count on us to have your best interest as our focus. 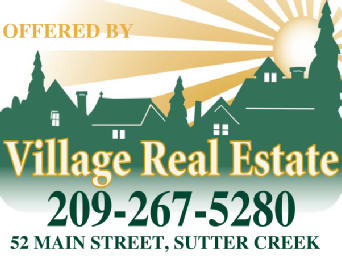 We proudly serve all of Amador county and surrounding areas.